To make your own corn tortillas you only need two ingredients, water and Masa harina (a traditional flour used to make tortillas and other Latin American dishes). Sadly you can’t swap Masa harina for ordinary corn flour since it has different properties. Masa harina is (like the name suggest) made from dried dough. The dough has been treated in a solution of lime and water which also has an impact on the final product. 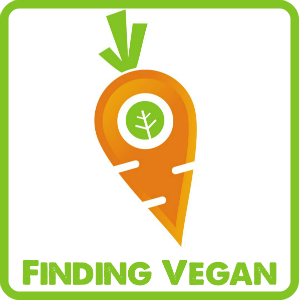 But if you can’t find it at your local store you may order it online here or here together with lots of other tasty stuff. In this recipe I have described a procedure for how to make tortillas without a tortilla press. It might require a little more time but they are still easy to make. My all time favourite taco stuffing is with refried black beans, fresh tomato salsa (Pico de gallo) and crisp white cabbage salad. 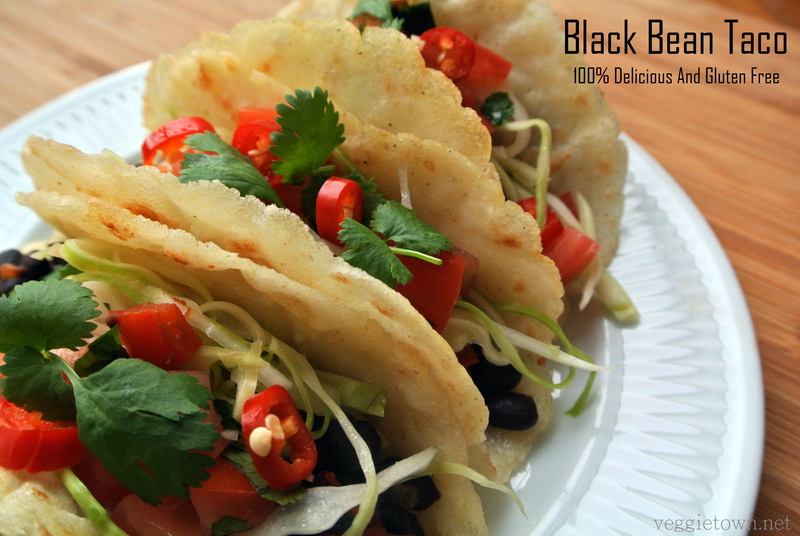 Black Bean Taco is not only completely vegan and gluten free but also full of flavour from fresh cilantro, lime, garlic and chili pepper. 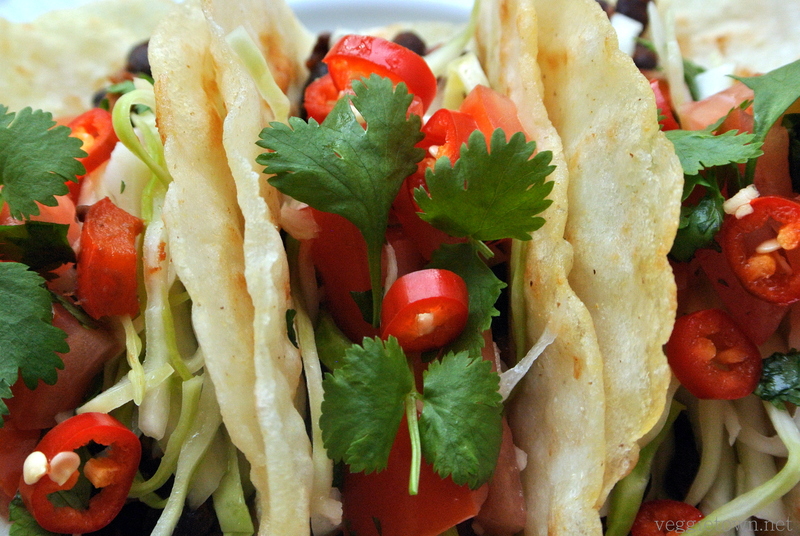 I urge you to try it for your next Friday night taco dinner! Mix the masa harina with warm water and salt. Kneed it until you have a workable dough. Divide the dough in 20 pieces and form them into small balls. Roll out each ball between two sheets of cling film and fry quickly on both sides in a pan lightly brushed with oil. Transfer to, and cover with, a kitchen towel to keep warm. Continue with the black beans. Chop onion, garlic and cut the pepper in pieces. Heat the oil and fry the onion and pepper until it all turns soft. Add garlic, spices and salt. After a minute you add the washed and drained black beans, lime juice and water. Let it all cook on low heat until all the water has evaporated. Keep warm and set aside. Seed and dice the tomatoes. Place in a bowl and add lime juice, chopped garlic, chopped fresh cilantro, salt and chopped chili pepper. Stir and set aside. Slice the white cabbage finely into thin stripes. Place in a bowl and add lime juice, oil and salt. Stir and set aside. Serve everything in bowls on the table and let your guests fill their own corn tortillas. Enjoy! Great recipe! 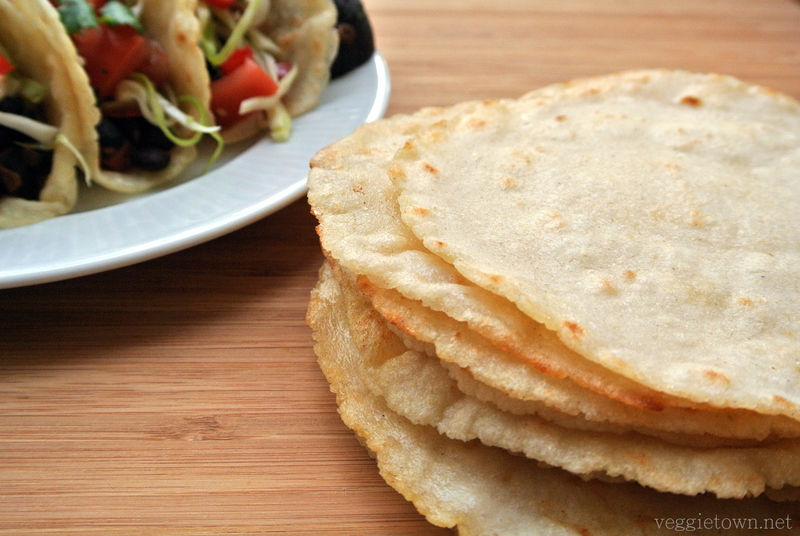 I haven’t made my own tortillas in so long…this is inspiring me to do so soon! Do that, it is surprisingly easy even without a tortilla press. Eating home made tortillas makes you never wanting to go back to the store bought ones.